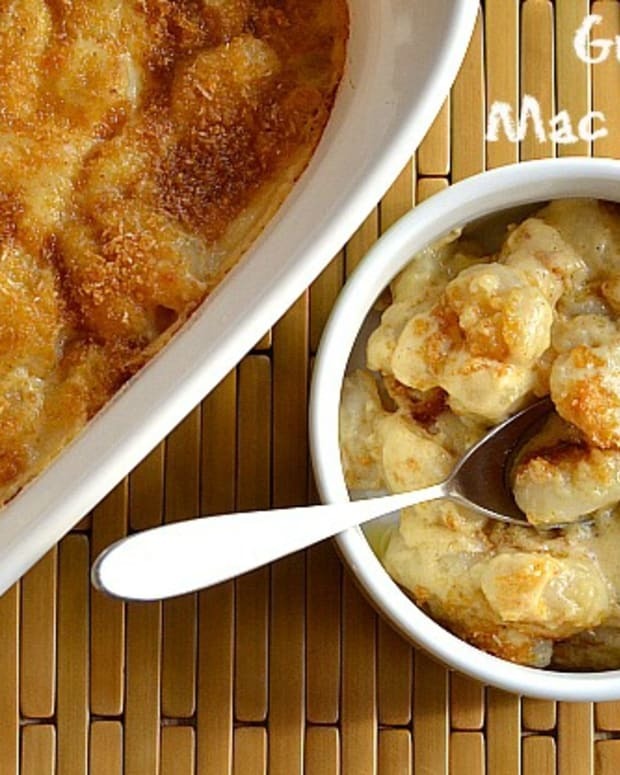 Mac and cheese is a childhood favorite that never gets old, but it does get hard to fit into a healthy diet. 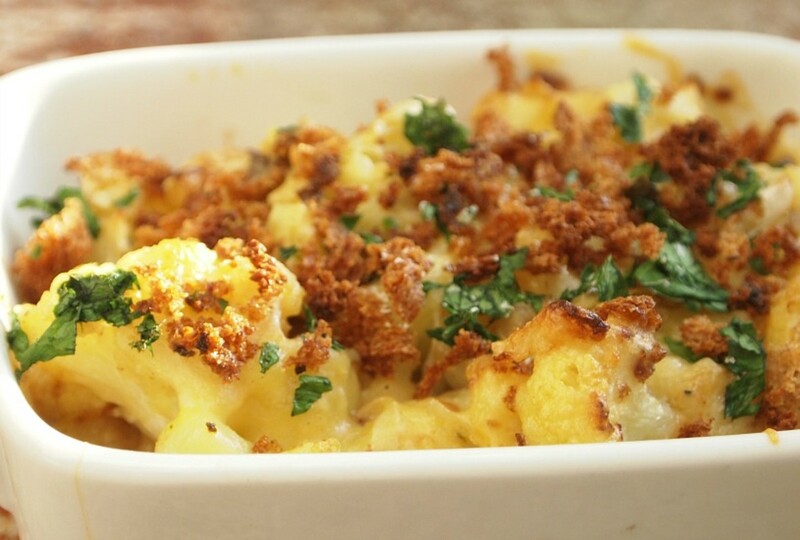 This Cauliflower "Mac" and Cheese version uses cauliflower instead of pasta. 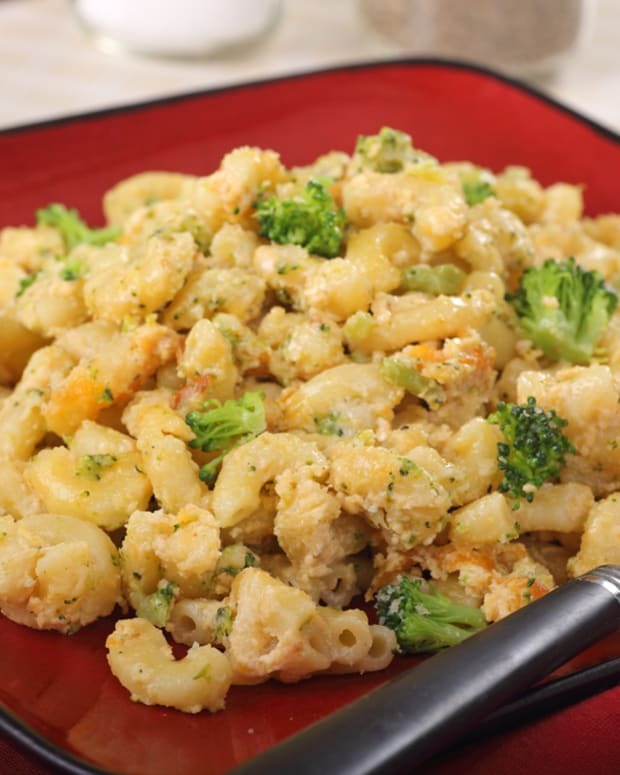 It is still pretty high in fat and calories mostly due to the cheese, but you can feel better about getting some extra vitamins and fiber from the cauliflower, and it is a great way to get kids to eat their veggies. 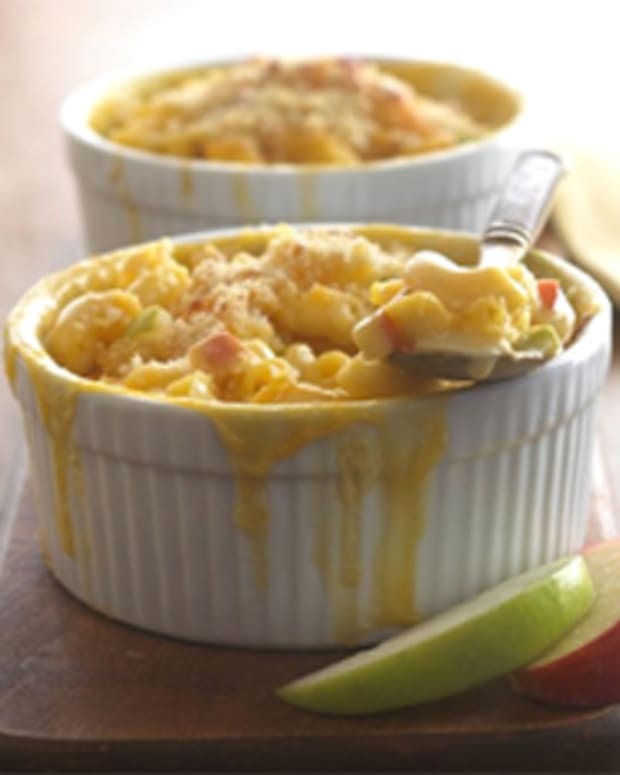 Enjoy as a main or try a smaller portion as a side, if you like mac and cheese you will love this new twist. 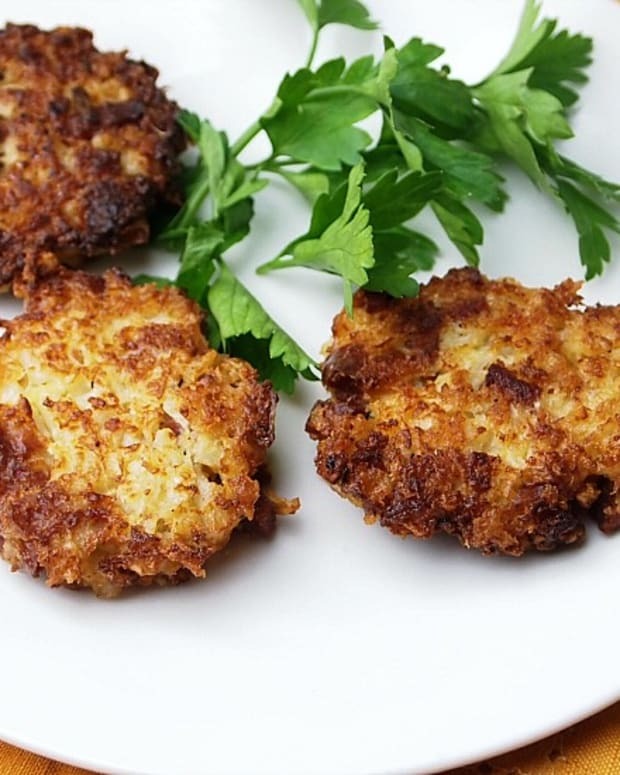 Note: Make this gluten free or for Passover by subbing the flour for potato starch and the panko for gluten free panko, leaving them out or topping with crushed nuts. 1. Preheat oven to 400°F. Place cauliflower florets on a baking sheet, mix with diced onion and oil, sprinkle with salt and pepper. Roast for 20-25 minutes tossing half way through until browned. 2. Lightly toast panko in a frying pan or oven and toss with parsley and paprika. 3. 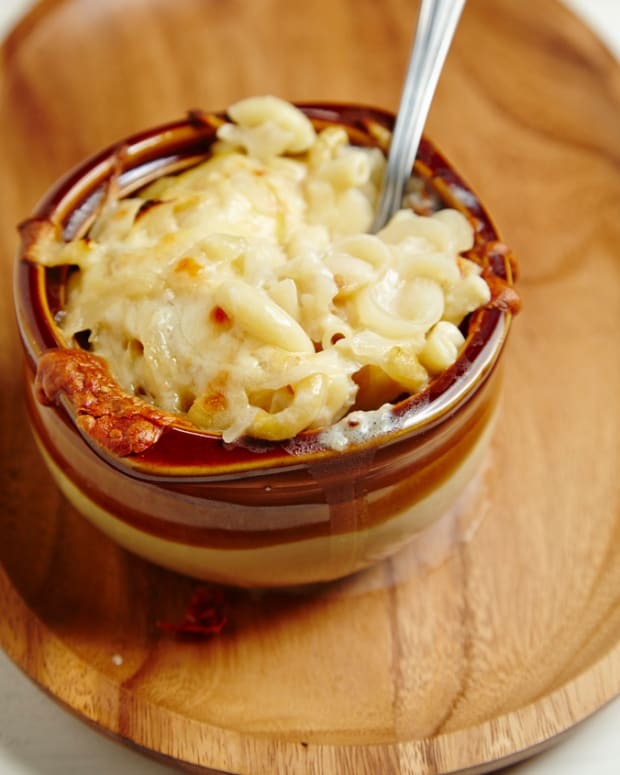 Warm the milk in the microwave, so it is just heated through (this helps prevent the cheese sauce from clumping). Heat a medium saucepan over medium med-high heat. Add 2 tablespoons butter and flour then whisk for 2 minutes (until a smooth roux is made), add milk and continue whisking until sauce thickens. Once smooth add salt and pepper and other spices. Then add the cheese reserving 1/2 cup. 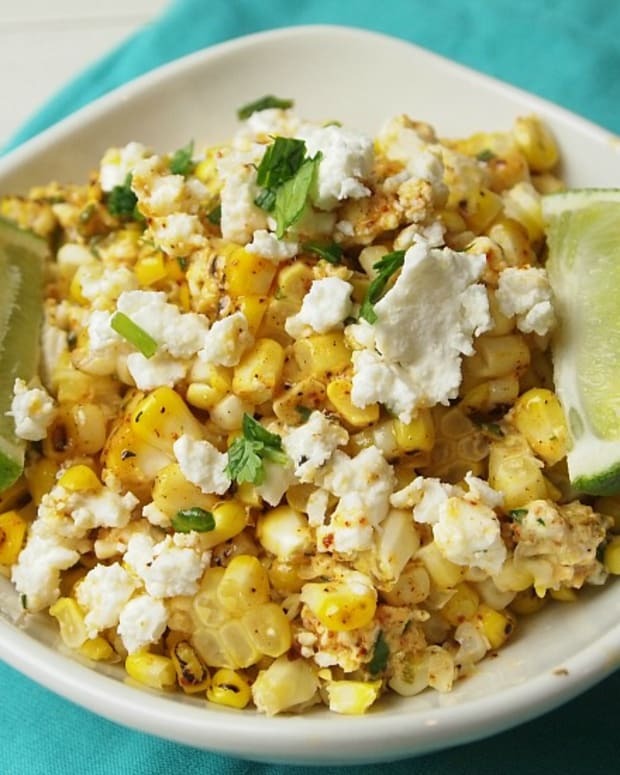 Mix with spatula and add cauliflower, stir gently. Now add the reserved cheese, mix just enough to evenly distribute. 4. Place mixture into a 8x8 inch greased casserole dish and cover with panko mixture. Bake in oven for 20 minutes until toasty and bubbly. Nutrition info: 475 cals, 34 g fat, 100 mg cholesterol, 640 mg sodium, 20 g carbohydrates, 4 g fiber, 24 g protein.